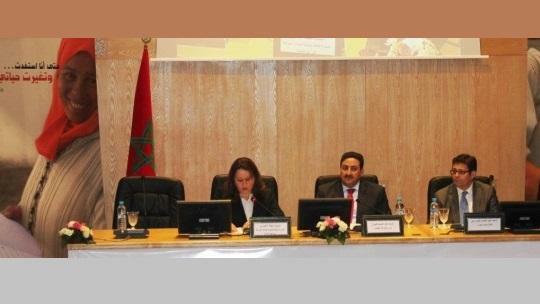 In early September, the Agency of Partnership for Progress (APP), which deal with the implementation and execution of the Compact MCA-Morocco has made ​​the delivery of 100 mobile counters in favor of microcredit associations in the framework of the closure of the projet "financial services". 1. Access for microcredit association to funds: by the APP supports in the form of a subordinated loan of $ 30 million to Jaïda Fund. Jaïda is a financing fund for microfinance institutions in Morocco, 45% subsidiary of the Caisse de Dépot et de Gestion (CDG) and which name means "excellence." 2. The development of new financial products in order to diversify the services offered by microcredit associations and access to new sources of funding. 3. Improving operational efficiency and transparency of microfinance associations with the implementation of mobile agents, new technologies and support to meet the requirements of Bank Al-Maghrib (Central Bank of Morocco). Let's not forget that the MCA program "Financial Services" is a component of the Compact MCA-Morocco signed in 2007 between the Governments of the Kingdom of Morocco and the United States of America through the Millennium Challenge Corporation (MCC).